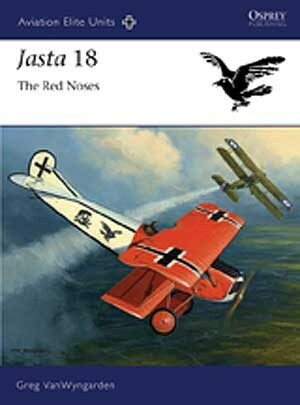 The history of Royal Prussian Jagdstaffel (or Jasta) 18 is one of the more unique and complex of German fighter squadrons of World War I. 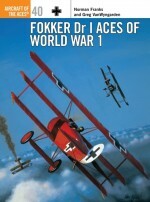 In fact, the unit could be said to have had something of a 'split personality'. 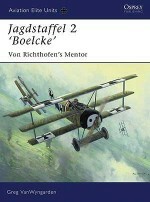 Formed in Flanders at the end of October 1916, the Jasta was first commanded by Oblt von Grieffenhagen, who led it to 35 victories in nine months. 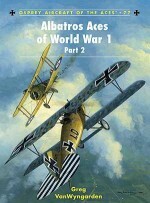 In August 1917, the aggressive and demanding Oblt Rudolf Berthold took over the Staffel and brought a cadre of seasoned pilots with him from his former command. 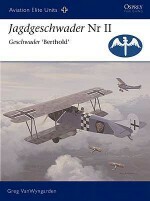 Berthold moulded his new unit into a dedicated group of hunters, and left his stamp on the unit with a striking colour scheme of red-nosed Pfalz and Albatros fighters with dark blue fuselage and tail surfaces. 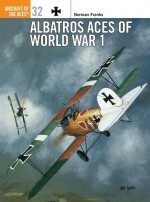 This book tells the complete story of the unit, the victories, the defeats and the great aces who flew the red-nosed fighters. 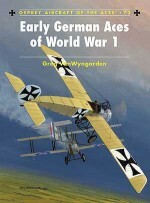 A history teacher living in St Charles, Iowa, Greg VanWyngarden has had a lifelong interest in World War I aviation, and has been active in researching the colours and markings of German fighter aircraft for many years. 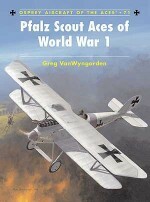 Greg has served on the Board of Directors of the League of World War I Aviation Historians and has been both art director and issue editor for that society's journal Over the Front. He is a long-time member of Cross & Cockade International, and has authored many articles in specialist publications and contributed to several monographs dealing with his favourite subject. 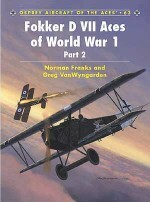 This is his tenth book for Osprey, having co-authored three previous titles with Norman Franks.Harry Dempsey has been passionate about World War I aviation for over 30 years, having produced some of the most technically accurate colour artwork on the subject. 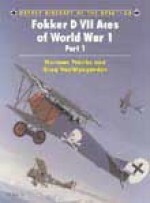 He has illustrated nearly all of Osprey's World War I aviation titles to date.